Keeping exactly the same position as for the Upward Salute above. Then start to use each breath to push the pelvis and thighs forward and bend your torso back while looking up and reaching the hands back further and further with each breath. Now slowly do the opposite, rolling forwards and bringing your arms forwards so that your hands are trying to reach the floor. Bend your knees enough that you can grab onto the back of your calves or maybe under your toes. Pull your head as close as possible whilst simultaneously trying to lift your buttocks in the air. 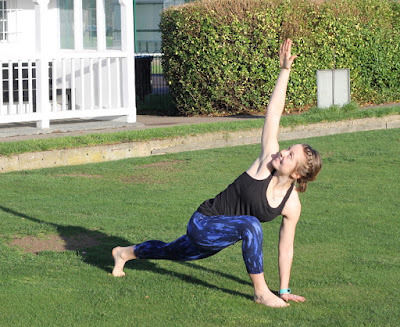 Bend the knees enough that you can place your hands flat on the ground and bring the left leg back into a high lunge. It is very hard to do all these at once but you have 10 breaths to focus and try. From the above move, don’t move a thing. Just lift your right arm straight up to the sky. You have 10 breaths to try and get the up stretched arm perfectly vertical. 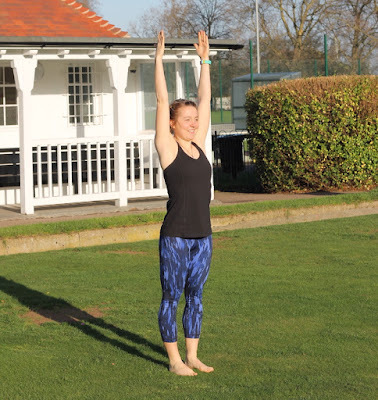 Following on from the Twisting Lunge, slowly bring your raised arm down to the inside edge of your front (right) foot and also slowly lift the left arm up skywards into the reverse twist of what you just did. 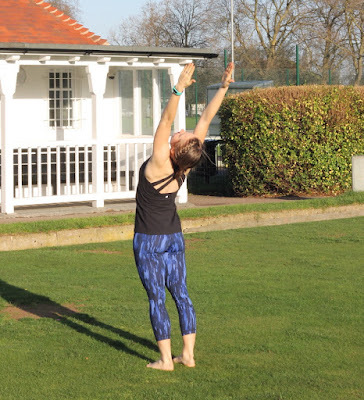 This is much harder the first twist but if you keep trying to maintain a straight long back leg and keep trying to lift your arm skyward and vertical then it is much easier to find balance. Now stand up and repeat the whole thing on other side. When you are done, your back will feel amazing, PROMISE!